The William Haskell House is a well known, historically documented, New England house. Records indicate that in 1652, Richard Window sold the property, a barn and a house to William Haskell. Over the years, an extensive amount of research has been done on the house, and there is great debate as to the age of the original house. Unquestionably, Haskell House is a First Period structure, dating late 17th or early 18th century. It is of heavy timber frame construction in the English manor. Although it is large for its age, it was a "working man's" house. The William Haskell House is a rare example of first period architecture. Quoting from the "Evolution of Colonial Architecture," "The preservation is so unchanged an estate over all the years between is one of those happy miracles that have occurred in only a few of our early New England houses." The house is a two and one half story four bay wide structure, built around a central chimneystack. The saltbox is an early addition. The lean-to and the north ell were probably added early in the 18th century. The house has a steep pitch main roof. The structure is a timber frame construction with the framework exposed on the interior. 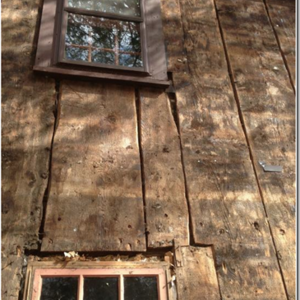 The exterior vertical plank sheathing is continuous from the top plate to the bottom of the sill, which is original. Applied with wooden pegs, the vertical plank wall exterior is mortised into the top plate. 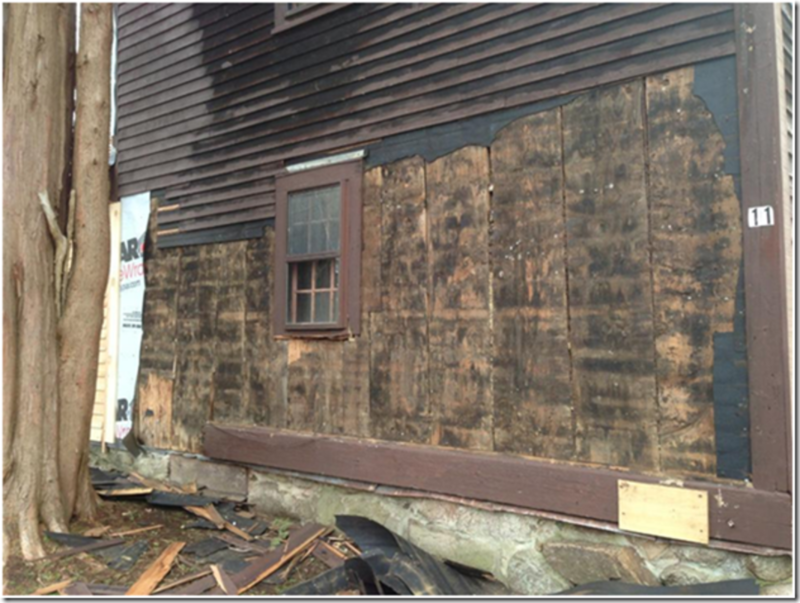 During an 18th century restoration, repairs to the sheeting were made using rosehead nails. The Haskell House is one of the noted and few vertical plank houses of Cape Ann. Remarkably, the interior has remained virtually untouched to present day with no major remodeling or updating. It retains its original doors and magnificent hardware throughout. As it was a farmer's house, it is plain and simple. It is extraordinarily rare to find a house in virtually original condition, as the William Haskell House. The interior has gunstock corner posts with exposed summer beam, floor joist and second story floor, typical of the 17th century construction. It has chamfered beams with cyma curved decoration and heavy oak gunstock corner posts. The commonly used entrance is in the back of the house, through the lean to. Most likely this was added in the first part of the 18th century, as it is of heavy timber frame construction, as the original house. On the south wall of the lean to there are long, horizontal sheathing boards with beveled edges. This may have been the original outer wall covering. From the lean to, one has access to the original house, the north ell, and the gambrel addition. To enter the parlor from the lean to, one steps down, over the old, worn, raised sill of the original house. The floor joists are lower than the ground sill plate, so that one steps down onto the original floors, which leaves an exposed sill, as well as the exposed framework. The parlor has a large fireplace, 7 feet wide and 5 feet tall, with pine sheathing on the fireplace wall. The parlor has oak chamfered beams, chamfered gunstock corner posts, and simple toothed molding above the fireplace. The beams are finished with an unusual, one inch wide, cyma curved decoration found at the bottom edge of the vertical faces of the chimney, end, rear and front girts in the parlor. The cyma curved decoration is very rare, only being found in one or two other examples. The chamfers are picked out in vermillion. The original kitchen, known as the hall, is the southwest room of the house. It has a very large fireplace, 8 feet wide and 5 feet tall. It is deeper, wider and higher than the parlor fireplace. It has an inner corner baking oven and a warming niche. Definitely, there was one beehive oven. The fireplace walls retain their original sheathing boards and door. The hall has a door leading to the original cellar, which retains the original stone steps. The hall has an original, small built in cupboard, which is recessed into the framing of the house. The three exterior walls are now covered with feather edged paneling, which during the recent restoration was determined to have been added by Albert Atkins in the 1924 restoration. Originally, the three exterior walls would have been plastered as the other three rooms. It has an exposed summer beam and floor joist and exposed second floor floorboards. The front hallway is the typical 17th century construction. The front door opens into a small hallway, which is the width of the chimneystack. The hallway leads to the hall (original kitchen) on the west side and the parlor to the east side. The hallway contains an enclosed winder staircase, which leads to the second floor. The staircase is the width of the central chimneystack and is butted against the exposed brick chimneystack, which has never been plastered. The hallway and the enclosed stairs retain the original vertical pine boards. Sometime in the early 18th century, the house was updated. 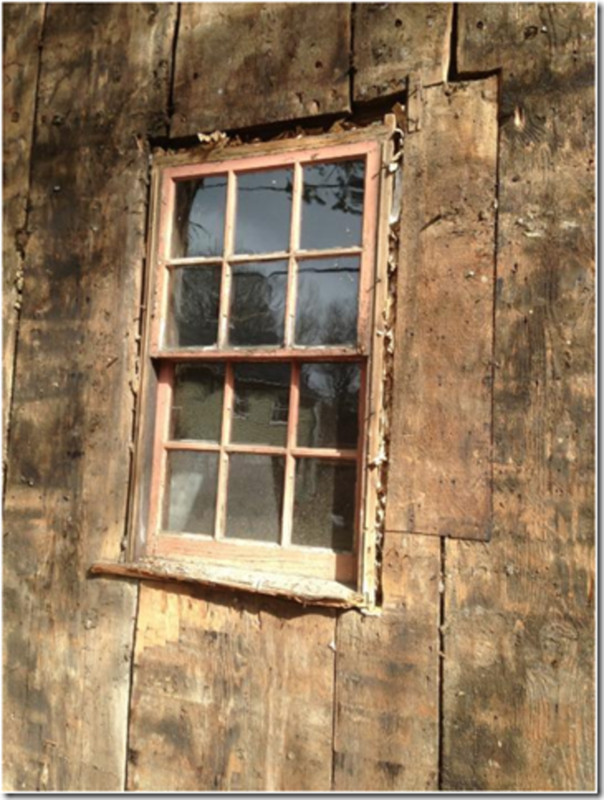 During this restoration, the original twin casement windows were removed and double hung windows were put in their place. A one story ell was added to the north end of the house. At some point in the 18th century, the north ell was removed and taken across the street. It is now incorporated into a house at the same location. For nearly 140 years, three different sections of the house were independently owned by three different Haskell descendents. Possibly, there was an addition to the east end of the house, as there was an earlier addition where the gambrel addition is now. Albert Atkins and his wife, Louise, both well known sculptors, found and purchased the house in the 1920s. They are to be commended for saving the house and keeping it original. So that he would have a bedroom on the main floor, Atkins renovated the north ell and built a new chimney, copying from the parlor in the old house. He added a bathroom next to the addition. On the east side of the house, he added a tiny kitchen. Later, he built a larger wing with a kitchen, dining area and an upstairs bed and bathroom. This is known as the gambrel addition. Off of the master bedroom (parlor chamber) in the original house, he added a small bathroom, which is entered through an old closet. The Atkins kept the original house intact, yet added modern conveniences. In the fall of 1967, Howard and Margaret Williams purchased the house. They are to be recognized for protecting and maintaining the historical integrity of the house. Margaret was quilter. Howard is responsible for much of the research on the house, its ownership as descended, and the Haskell genealogy. Fred and Pam Grote, purchased the house in April, 2012. From 2012-2014, the house received a major historical restoration. 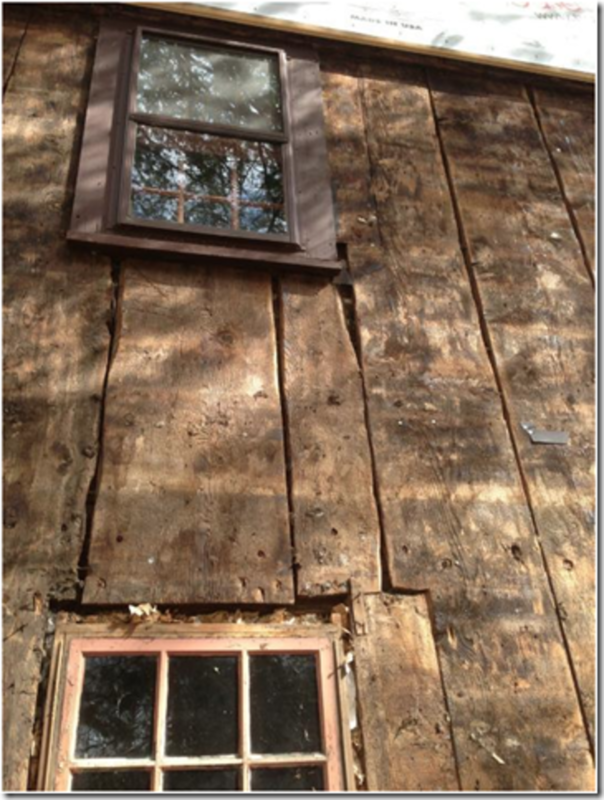 New cypress bevel siding was applied in the old manor of 4' lengths with scarfed ends and handmade rosehead nails. The new roof is made from hand split wood shakes. 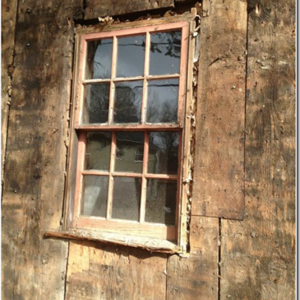 The windows were replaced with custom made, architecturally correct mid 18th century reproduction double hung windows. 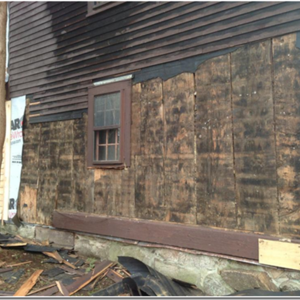 During the restoration, the original plank frame house was exposed. This revealed that the house originally had twin diamond pane casement windows. Under the advice of Abbot Lowell Cummings, the decision was made to replace the double hung windows with the same. Cummings states that there is a natural progression to a house, and it would be incorrect to install diamond pane casement windows. The interior of the house required very little restoration, as the house retains its original interior. All mechanical work was completely replaced. The house has all new wiring and plumbing. All three bathrooms have been updated. The new kitchen was completely renovated to give it an historic look with modern amenities. The house has a new geo-thermal central heating and air conditioning system. 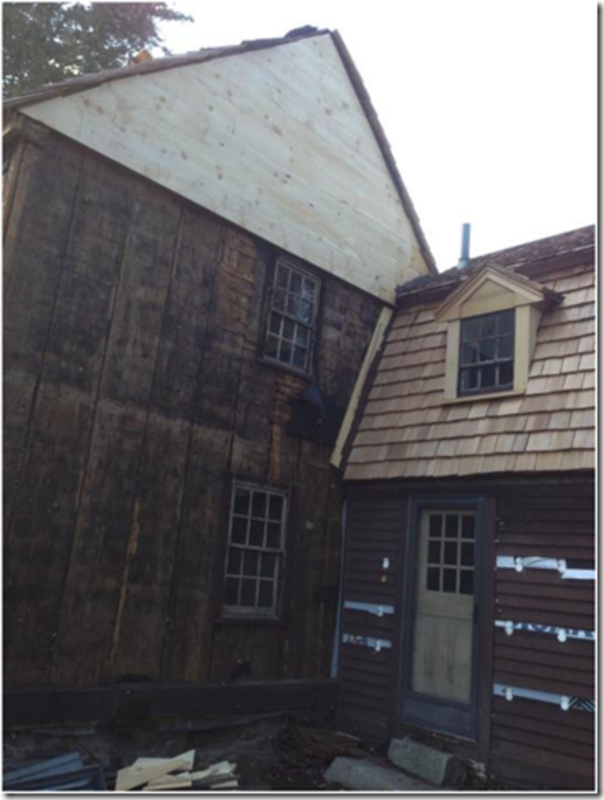 The recent historical restoration was under the direction of historic Master Craftsman, Warren Lanpher from Saunderstown, RI. 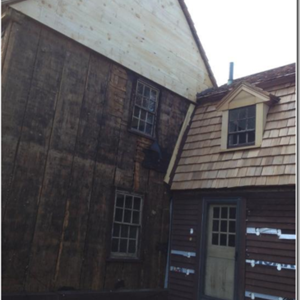 O'Conner Carpentry, owned by Jason O'Connor from Gloucester, was the general and historic restoration contractor. Lanpher and O'Connor worked together on the restoration. Extensive restoration was done to the five fireplaces and three chimneystacks. All were restored by historic Master Mason, Richard Irons from Limerick, ME. We thank Howard Williams, Pru Fish and John Cole for their interest and contribution in researching the William Haskell House.